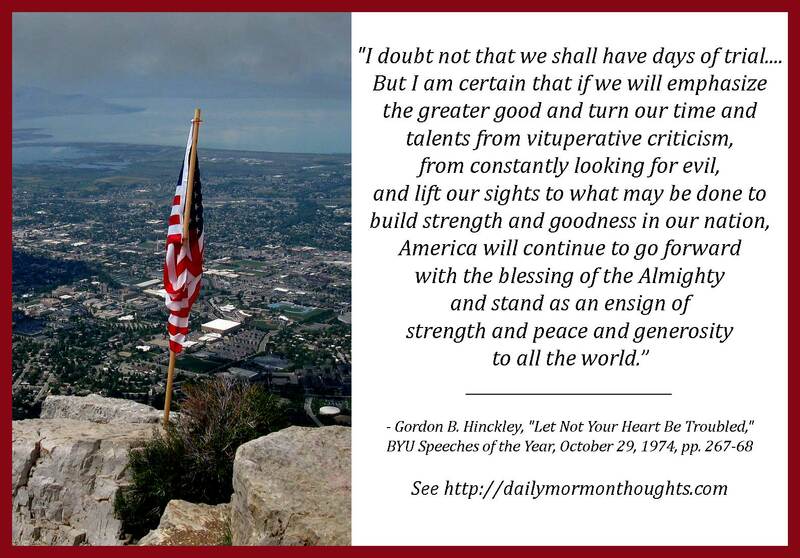 "I doubt not that we shall have days of trial.... But I am certain that if we will emphasize the greater good and turn our time and talents from vituperative criticism, from constantly looking for evil, and lift our sights to what may be done to build strength and goodness in our nation, America will continue to go forward with the blessing of the Almighty and stand as an ensign of strength and peace and generosity to all the world." 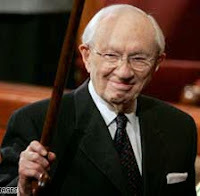 In his leadership of a large international organization, President Hinckley was aware and sensitive to the feelings of those who lived in other countries. But in this excerpt he expressed his love and confidence in the country of his birth and upbringing. 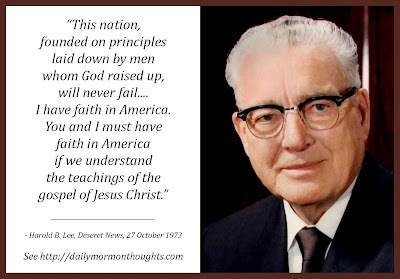 While he acknowledged America's many problems, he maintained his faith and hope in the future: "surely this is a good land, a choice land, a chosen land." 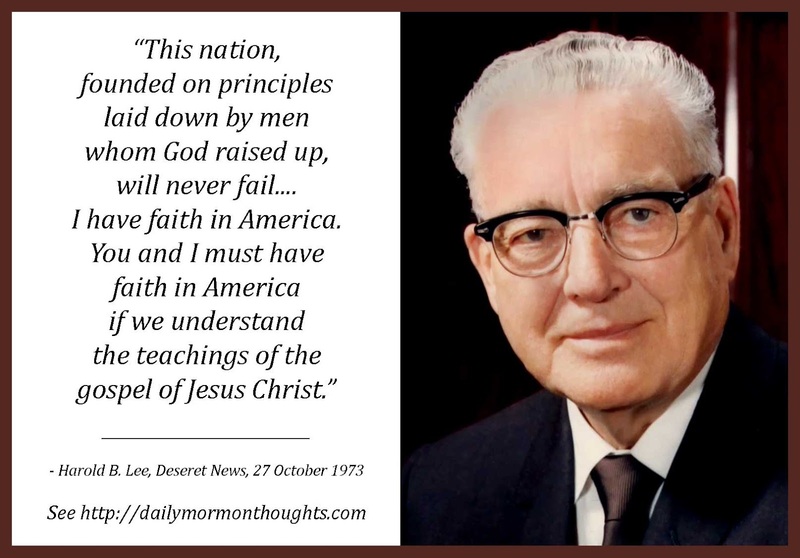 And again, realistically acknowledging days of trial to come, President Hinckley's optimism in the country and its future focus on the responsibility of individuals to turn away from "vituperative criticism" and instead to lift our eyes in hope and goodness, helping build national strength through our personal righteousness.